Larry DeVore, P.E. is President of Construction Innovations LLC (aka “CI”). Prior to CI, Larry served for 13 years in various key operational and management roles for a Top 50 electrical contractor. His experience included overseeing operations, project management and field installation for complex solar, power and low voltage systems requiring a high degree of technical coordination. 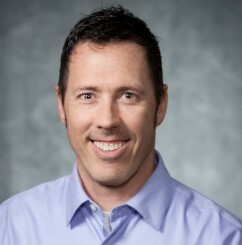 His leadership role expanded over the years to include implementation of BIM 3D modelling and Lean manufacturing techniques such as 5S, Gemba, standardization, root cause analysis and Kaizen. For 13 years prior to his electrical contractor experience, Larry performed key lead operations and service maintenance roles with Hoover Electric, International Hardcoat and Chemetco, Inc. He began his electrical career in the U.S. Navy, completing extremely rigorous, elite and highly specialized training to become an Electrician 2nd Class on board the U.S.S. Greenling SSN-614, a nuclear fast attack submarine. As the ship’s Petty Officer for electrical safety and plant operation, Larry was responsible for operating, troubleshooting, repair and testing of the ship’s complex electrical systems, including the electric plant, reactor plant and propulsion systems. Larry is a registered professional engineer, certified electrician in California and master electrician in the state of Michigan. Larry also holds an OSHA 510 certification for the construction industry and is FMI certified by the Leadership Institute. He holds a B.S. degree in Electrical Engineering from the University of North Dakota.